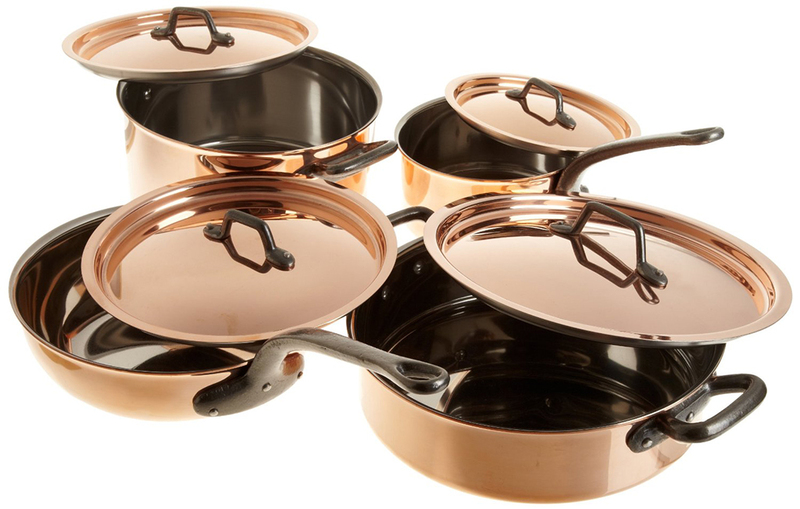 THE PREMIUM RANGE OF PANS FOR COOKING Combining the optimum heat conductivity of copper with the easy clean properties of a stainless steel interior. 5. Straight overturn non-drip edge. 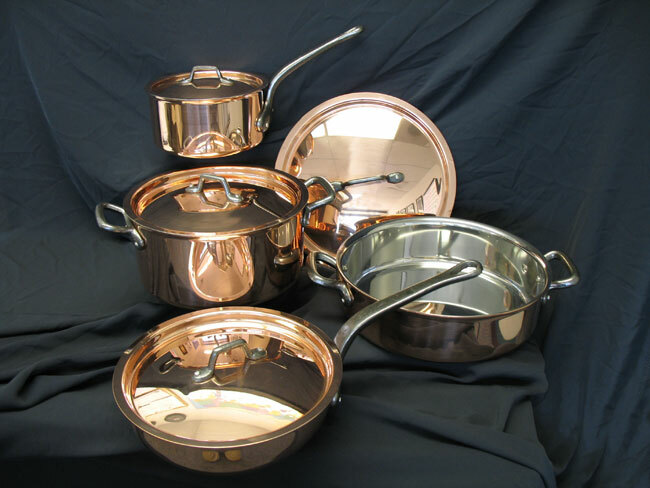 Made of high quality copper with stainless steel lining. Set include: casserole (item 367024), lid (item 365024), sauce pan (item 360018), lid (item 365018), flared saute pan (item 373024), lid (item 365024), heavy saute pan (item 374028), lid (item 365028).